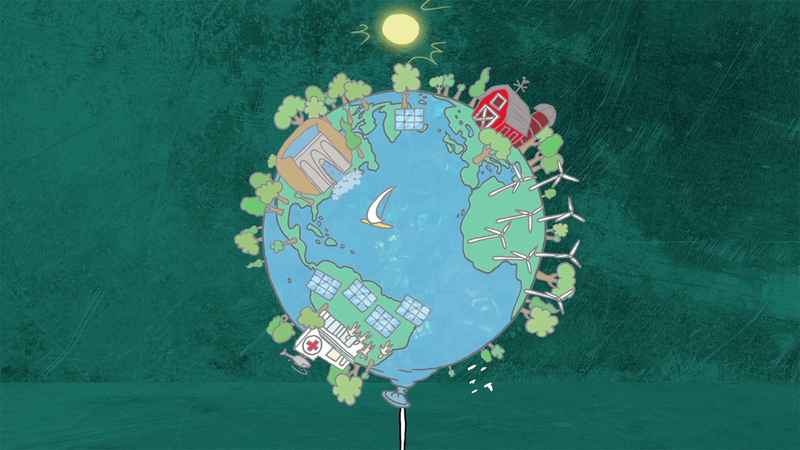 A promo video for Green Century, made to be shared, and to encourage people to help preserve our fantastic world! The vast majority of mutual funds own oil, gas, and coal companies. So, if you are invested in mutual funds, it is very likely that you are invested in fossil fuel companies, whether you intend to be or not. Green Century has been helping people invest in sustainable companies for over 20 years. They help you save for your future without compromising the planet. A social change communications agency in NYC called Fenton got in touch about a very small, but extremely forward thinking mutual fund that wanted to educate people about divesting fossil fuels from their IRA's. The client had a pre-prepared script outlining what the voiceover would say. 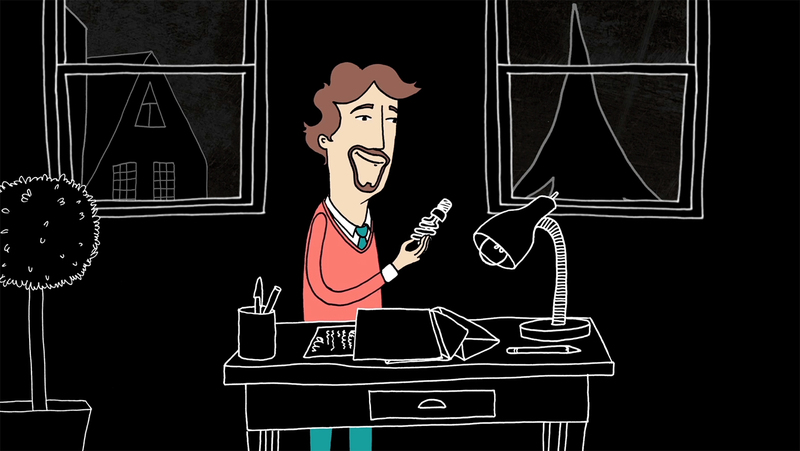 Director Katy Davis wrote up the visual script for this animation. After reading the script for the voice over, she thought that it’d be good to have a relatable character - someone who didn't know he was unintentionally investing in fossil fuel companies. He should be an average person just minding his own business, doing his part. When the bad weather hits, we see rising water, houses being flooded, fires, trees burning. He shakes his head. He doesn't want that! 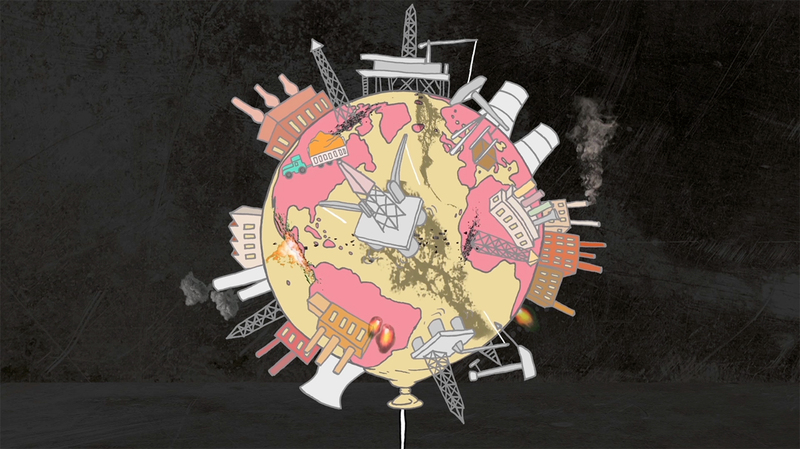 We wanted to show the different outcomes to his decisions by illustrating two different worlds/balloons – one world supporting fossil fuel investment, and one that is fossil fuel free. 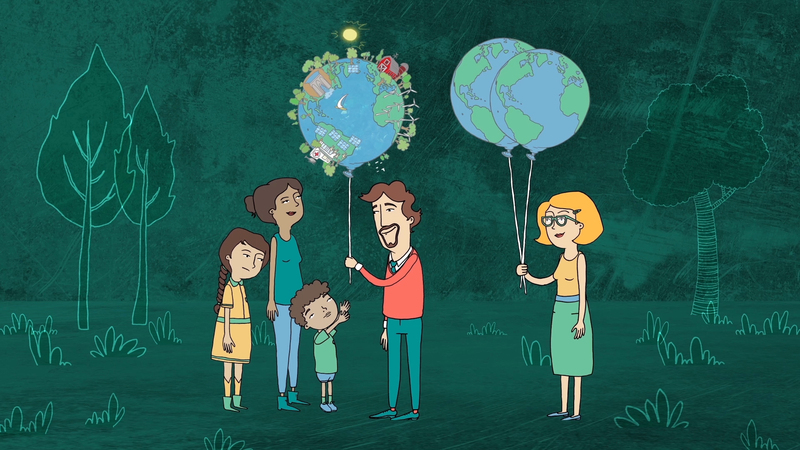 The main character stands with his family as we see the two balloons; one covered with fossil fuel companies, drill rigs and factories belching smoke, and the other with good businesses; organic foods, solar power, wind power, recycling factories, green building materials, trees and blue water, birds… all thriving together. With the idea of using balloons to represent both worlds, it was easy to show what the main character decided to choose: he let go of the damaged world (so it floated away), and grabbed the string of the healthier world, and passed it to his child. This also pushed the message that he was doing something for the next generation too. 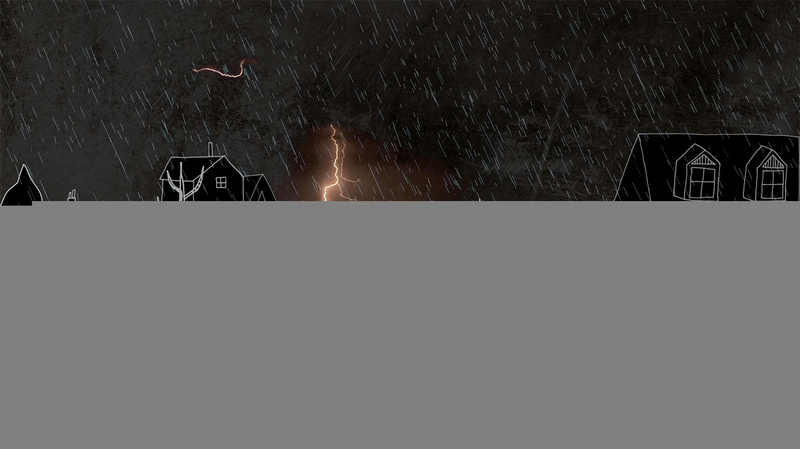 We chose a stark black background to create a really strong visual image – this really helped the storm to come alive with the lightning and the fire. Towards the end we blend into blues and greens as main colours for the video, pulling colour identity from the Green Century website.